How would I create an arch? 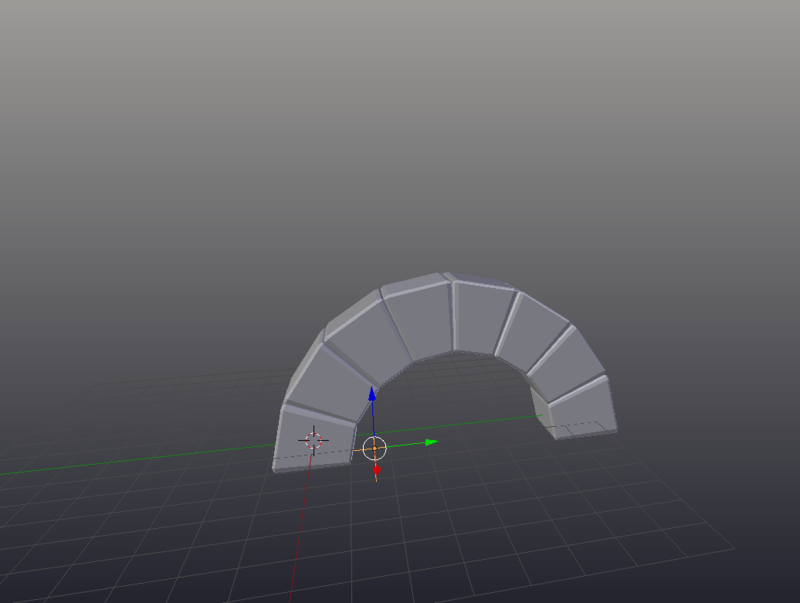 Is there a simple way to create an arch? Different type of arches on wikipedia. I'm interested in the Round arch or Elliptical arch type of arches. You can use an array + the simple deform modifier. 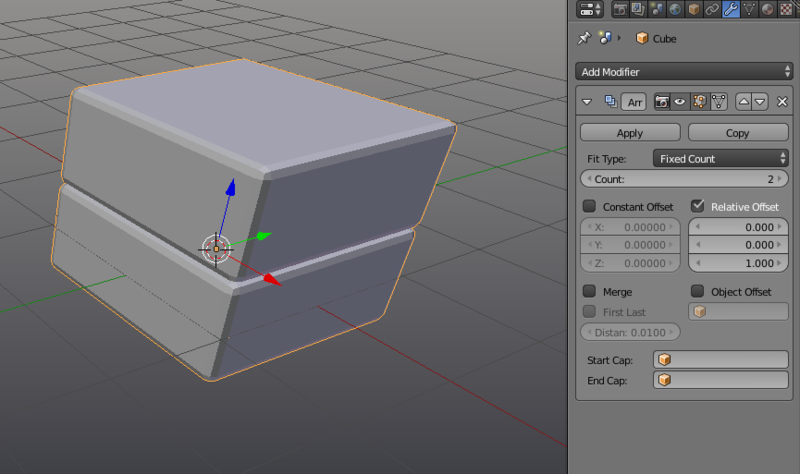 add a simple deform modifier. set the type to bend. Rotate it by 90 degrees on the Y axis. You can do this by modeling one section and then add an array modifier using a rotated empty to wrap it around a point, creating an arch. You can also do this by modeling a brick, setting the cursor to center, and using the spin tool. Use spin tool to create arch. You can achieve this with an array and a curve modifier. 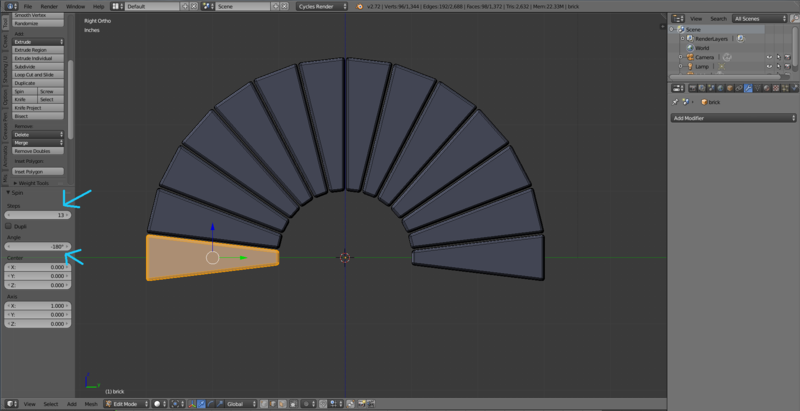 Add a curve; then model it in to what ever shape arch you want. 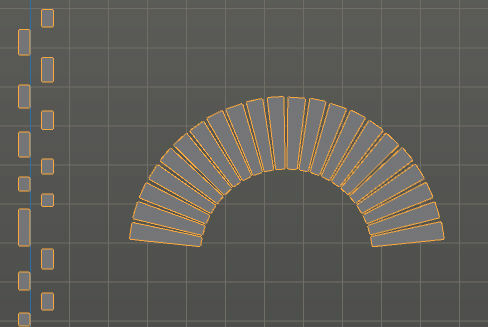 On the object that will be repeated across the arch, add the two modifiers an array and a curve. 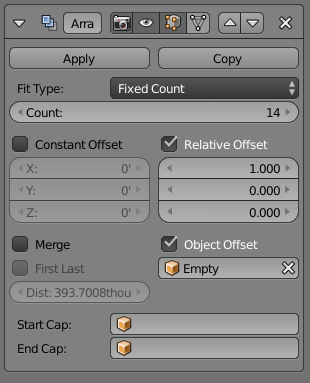 Set the array modifier's Fit Type to Fit Curve, then select the curve. 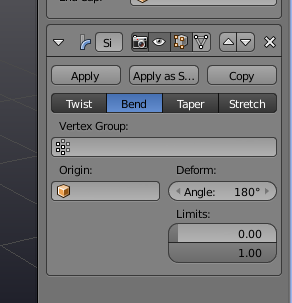 Then set the Curve modifier's Object to be the same curve. Using a circle as a starting point. Delete half of the vertices. Place the cursor on the center of the arc and extrude and scale keeping the pivot point on the 3D cursor. Extrude on the Z axis. Then you can use the inset tool I (with idividual faces on) to create the edge of the bricks. You can create a arch from a circle, or cylinder. 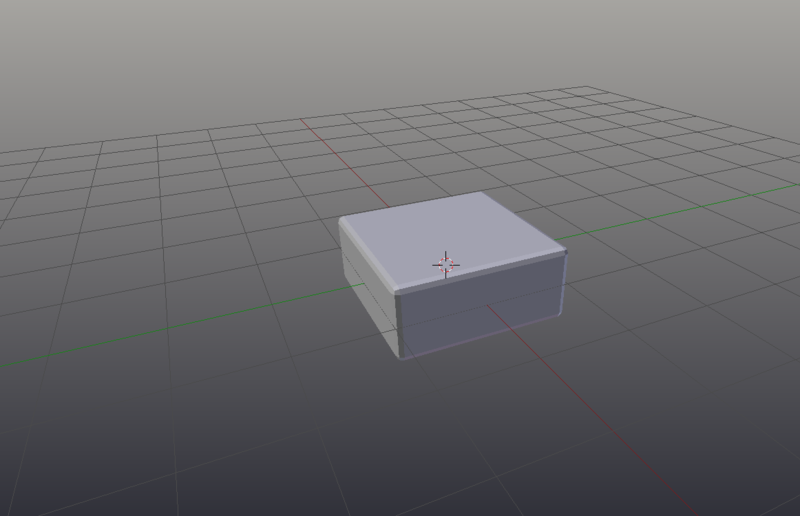 Start by deleting the bottom half of the vertices. 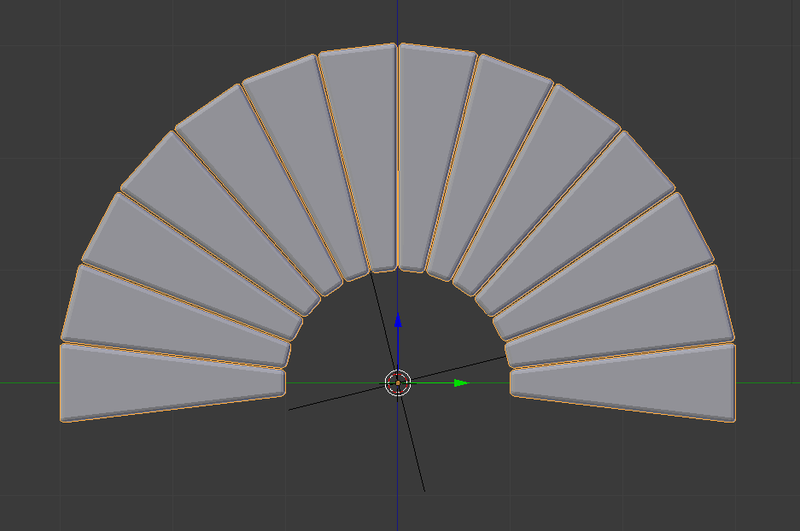 If you want a symmetrical arch add a mirror modifier and delete half of the vertices. Model the circle in to the arch shape you want. There is an addon available in contrib called Building Objects that can create a brick wall which can include openings with arched tops (and bottoms). By setting the start and end of the wall to small values you can still get the arch with some easy to remove bricks on the side. The block width alters the size of the pieces over the arch. A curve size greater than 2.0 gives you a pointed arch. Contrib addons aren't included with official release builds of blender but are normally included with daily builds and many graphicall builds and the latest version can be downloaded from here. 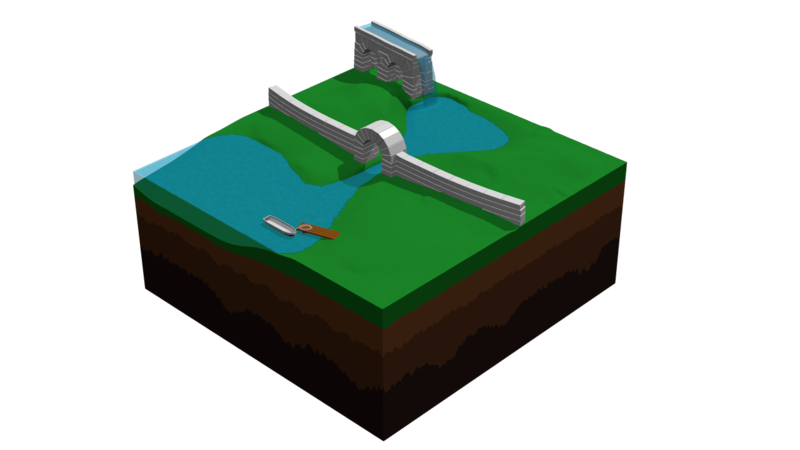 Using the Bridge Edge Loops tool. 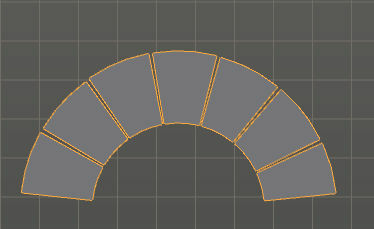 Use Bridge edge loops and adjust the number of cuts. 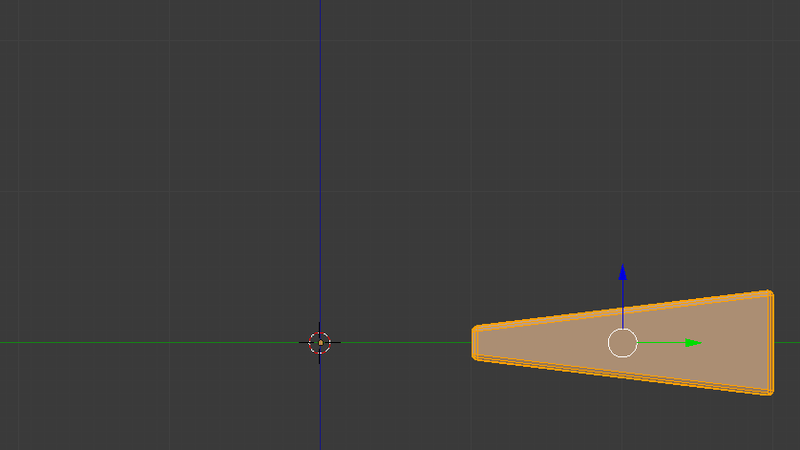 How to curve the mesh without using bezier? 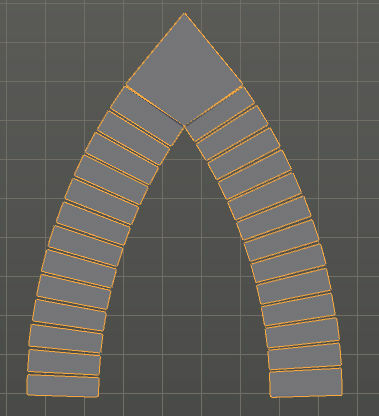 How to make an arch in a model w/o Bezier Curves and w/o adding separate objects? How would i curve panels like this? How can I round the edges of a mesh? How to create icicles hanging off an object? What would be the best way to round an object to fit a shape? How can I make a coil with relief (volute)? How would I create a circular brick platform?